Quicken BillPay won't activate after almost 2 weeks of waiting AND calling support and being told it can take up to 2 WEEKS! Then this morning, I received this email indicating Quicken Bill Pay has been DEACTIVATED when I cannot even get the two trial deposits deposited so I can activate the [removed] thing. You have not added your Quicken Program, operating system or Checking Account Bank Name. 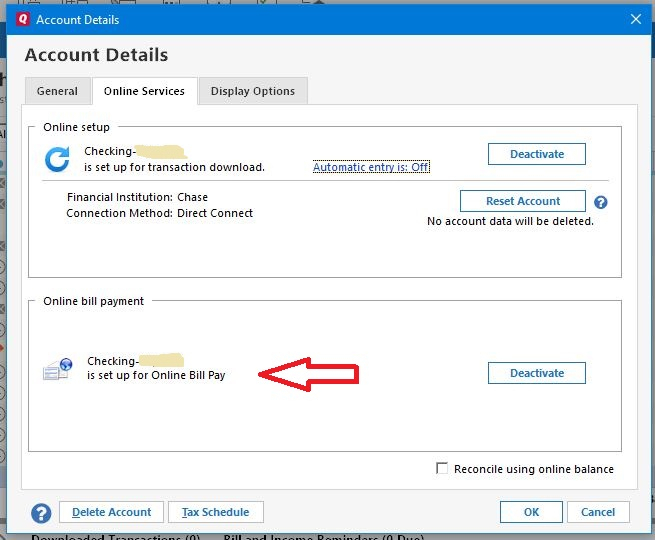 If your Checking Account Bank offers Free Bill Pay as well as Free Direct Connect using Quicken, why not go that way? Chase and PNC Bank offer Free Direct Connect. Robyn, did you provide all the documents they require you to submit in order to get activated? If so, I'd suggest calling their support number to ask why your service was deactivated. It's pretty hard for us to speculate based on that uninformative email they sent you. As you may or may not be aware, Quicken Bill Pay is actually a third-party company (Metavante) which Quicken employs to handle the bill payment process. So support for Quicken Bill Pay is separate from Quicken Support. Yes, my bank offers free BillPay but I thought it would be cool to use the "free" QUIcken BillPay feature built in Quicken Premier 2019 for Mac. Free Quicken Bill Pay, is not unlimited. You are limited to 20 Payments per month with Quicken Bill Pay. Not so cool. It has now been a month since I submitted my app for Quicken BillPay for Windows...I provided all the banking account information and have now waited for one month...the deposits have never been made and I've spoken with Customer Support 3 times. Each time (including yesterday) I've been told that they've escalated this and I'd heard back soon to get this moving. I am very perturbed about how long this is taking, as one of the reasons I went with the subscription version of Quicken was so I could use the free BillPay vs my paying my bank monthly for their billpaying service. I'm about ready to contact Better Business Bureau, as I don't know what else to do?! Well, it's been 4 months since I originally signed up. I signed up on November 20, 2018. I instituted a new account and waited and waited...After approximately 2 weeks, upon not seeing any action, I called them and they said they would move my request to the top of the 'pancake stack' (my words). After a couple of weeks more of calling them, someone there told me that my request was denied due to a NSF of a little over $2--I located it and paid it in mid-January. They also told me they had de-activated the new account (they oldest one still worked--and is still active). Still no activity, so I called again on the March 11, and they told me I had to submit my Drivers License, a Utility Bill, and the first page of my tax form. Well, this is March 18 and still nothing. On another note--Peter from Quicken suggested I start paying bills through my banks instead of using QBP. That may work, but the Billpay services of the banks don't communicate with 2019 Quicken very well. I seldom had problems with QBP communicating until this new service went into effect. Four months (so far)? Is this good business? Bump the previous comment. For me I am now at 9 weeks, same issue. Nine support calls to Metavante, trouble ticket and now an actual paper letter. Still no result. I have yet to receive even an email from their support. I also had no problems when I was on 2016 Premier. There is a deep problem here, and neither Quicken or Metavante is acknowledging it. 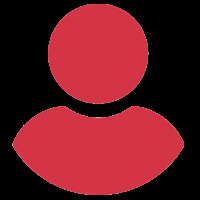 A Quicken BillPay representative told me that their software automatically deletes new accounts if they have not been authorized within a 60 day window. I recommend you attempt to sign into your new account to see if it is still there. Licensed as a Money Transmitter in the jurisdictions listed here. On that page I discover that Metavante is NOT EVEN LICENSED to handle money transfers in my state of Texas!!! I sure hope all my personal information I gave them, including SS # and bank info, is safe. Least they could have done is said, "Sorry, Quicken BillPay is not available in your state." Very discouraging. @promo214 Hmmm, that's curious... but I'm not sure your conclusion is right. I haven't read of Quicken Bill Pay not being available in certain states. Colorado, Illinois, Louisiana, Massachusetts, Montana, and Texas are missing from that list, but I've never heard users from these states reporting that they cannot use this feature. Perhaps it has something to do with the legal definition of "money transmitter", or perhaps they don't need a license for bill payment services in those states. My guess is that your problems getting an account established with Metavante are not because you reside in Texas and they can't offer this service there. Metavante's customer service for getting user accounts established is legendarily poor; you can search this forum for Metavante and find hundreds of complaints. If you have an email from them about your case, I'd suggest continuing to pursue that with them. It's possible that despite your email, your account was sitting there inactive for long enough that they automatically deleted it before a human looked into it. It's one of the smaller banks. Maybe that's the issue. Are you in Texas?